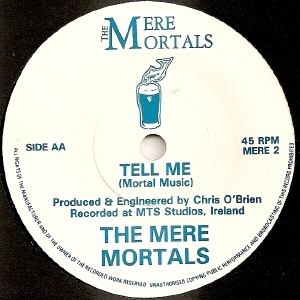 Band formed by vocalist Paul Marron, managed by Seamus Plunkett. They were originally called The Drowning Fish but with the increasing profiles of An Emotional Fish and the Little Fish, it was decided that a name change was the wisest course of action to prevent any confusion. 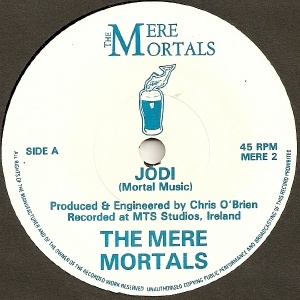 All the band members came from the midlands area, with Portlaoise as their home base. They were quite an athletic band by all accounts, with individual members sporting engagements often conflicting with touring schedules and other band commitments. This eventually lead to the band breaking up. 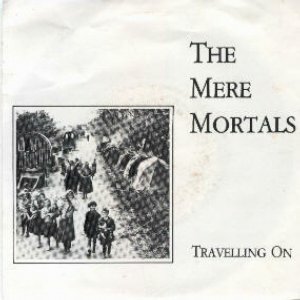 The Mere Mortals enjoyed a heavy touring schedule, playing the pubs, clubs & summer festivals of the midlands, along with gigs further afield in Tralee, Limerick, Galway & Dublin. Their biggest gig was the first Feile festival in 1990 when they appeared on the bill on the Saturday morning. They also played at Poulaphouca House (in Blessington Co.Wicklow) in August 1990 supporting The Big Mistake, The Stunning, (...let's leave for the car park now), Hazel O'Connor and headliner Bob Geldof. 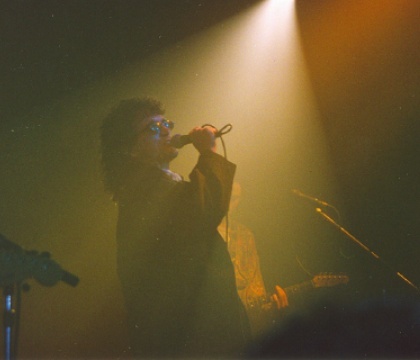 The band self-released their debut single in 1991. 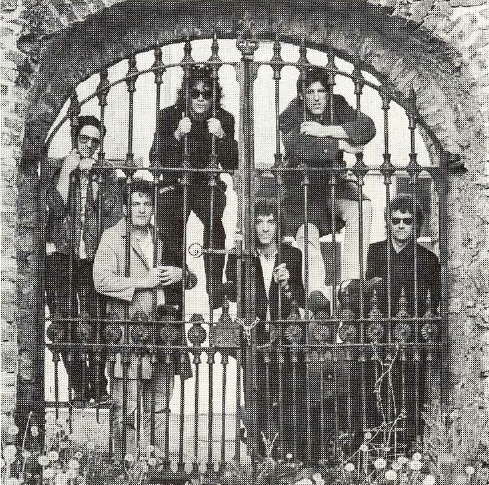 A video was made for the A-side "Travelling On" which was played on RTE's Sunday morning music programme The Beat Box. It entered the Irish charts in June 1991 peaking at #11, but it quickly dropped out again. This lead to an appearance on Shay Healy's "Nighthawks". A second single was recorded but financial constraints prevented it from being released in any meaningful form. It was issued on vinyl in a plain white cover with a sticker on the front. 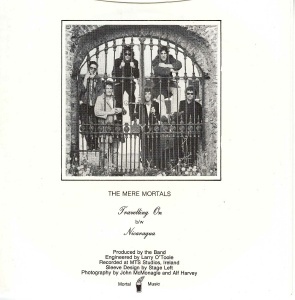 The problems getting out a second single to capitalise on the success of the first meant that momentum was lost and this allied with the band members other (sport) commitments led to the band breaking up. Other tracks include "Petroleum", "White", "Swell", "Reach", "Once Upon A Time", "Off Chance", "Jackboot", etc. Most of these surfaced on a 1996 CD release. The Mere Mortals reformed for the Venice of Ireland (cough!) Festival in 2010. 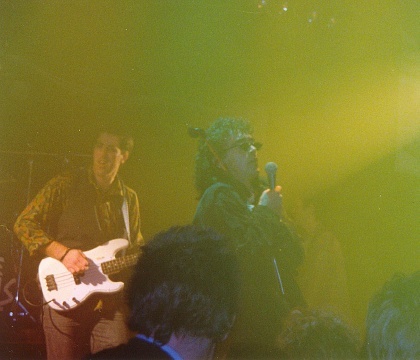 The following photos were taken at the Mega Club, Portlaoise in October 1990 by Derek McCabe. Entered the charts on 27 June 1991 for a 2 week run, peaking at #11. Recorded at MTS. Produced by Chris O'Brien. 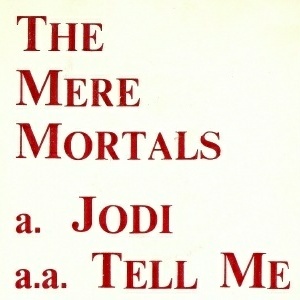 Double A-side single with "Jodi" as side A and "Tell Me" as side AA. I can never remember which of these is supposed to be the 'real' A-side, but "Jodi" is listed first on the sticker. Thanks to Derek McCabe for his help.